Shivaji maharaj history in marathi , Please share this important information to your friends and family. 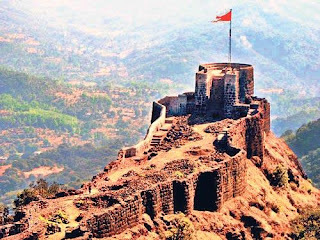 In this post we shall learn shivaji maharaj forts information in marathi. पूर्ण नाव :- शिवाजी शहाजी भोसले. जन्म ठिकाण :- शिवनेरी गड, पुणे, महाराष्ट्र, भारत. मृत्यू :- ३ एप्रिल १६८०,मंगळवार. पण स्वधर्म धर्म सोडणार नाही. " छत्रपती शिवाजी महाराज कि जय!! असल्यास " हि आपली जबाबदारी समजा...धर्म समजा...!!" Hi friends, welcome to the Apalimarathistatus.in , We started Apalimarathistatus.in as a passion, and now it’s empowering more than 150K+ readers globally.